Hollyburn Cross Country Ski Club, based in Vancouver, British Columbia, Canada is a non-profit cross country ski club run by a volunteer executive and qualified volunteer coaches. The 500 member club follows the Cross Country Canada endorsed Jackrabbit program to introduce children to cross country skiing, fitness and winter fun. 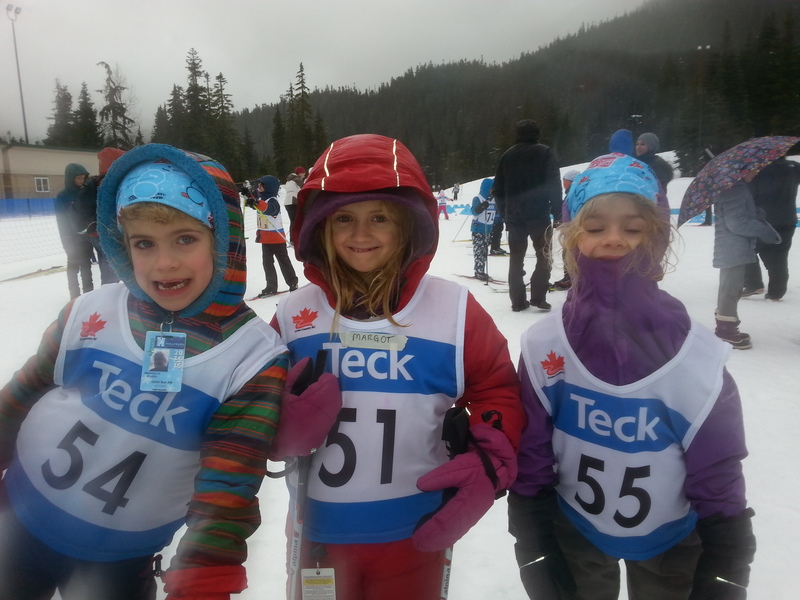 Presently we have over 290 young skiers, aged 4 to 18 years, instructed by more than 70 volunteer coaches in the Jackrabbit, Racing Rabbit and Teen programs. The club skis at the Hollyburn Ridge cross country area of Cypress Mountain, located just 25 minutes from downtown Vancouver. The club provides families in Greater Vancouver the opportunity to learn and excel at cross country skiing in a fun, convenient and encouraging environment. Children, youth and adults develop the basics of good cross country ski technique, fitness and how to stay safe and have fun in a winter playground. The club follows the Cross Country Canada Long-Term Athlete Development Model, starting with the Skill Development Program for children, which then leads into either recreational or competitive programs for youth and adults (see our Programs pages for details). Parents are encouraged to be actively involved as coaches, mentors, racers and volunteers. We support skiers to develop to their potential and encourage life-long skiing in a fun, social environment. We strive to achieve excellence by providing a wide variety of programs delivered by qualified coaches. We will evolve into a full service cross country ski club, recognized by Cross Country BC and Cross Country Canada as a leader in the country and become a winter sport activity of choice in Greater Vancouver. Once the online registration has been completed, refunds for program fees are only provided for medical reasons (doctor’s note required) and then on a pro-rated basis once the program starts. No refunds for membership fees are provided for any reason. Contact Cypress Mountain directly for information regarding refunds for any trail passes or rentals that you may have purchased from them. The Hollyburn Cross Country Ski Club collects personal information from its participants and uses that information for program development, marketing purposes, contact information and to meet legal obligations. In addition, the club may use participant and guest photos and/or videos from club activities for promotional purposes including brochures and websites. In all circumstances, the Hollyburn Cross Country Ski Club endeavours to limit the collection of personal information to only those items that are necessary to provide the best service to all members. The club is committed to safeguarding member personal information through the use of security standards and procedures appropriate to the sensitivity of the information. Member personal information will not be sold, leased, rented or otherwise provided to any third party other than those contracted to provide services to the Hollyburn Cross Country Ski Club. Registration into events and programs are performed by the registrar upon the review of the registration based on the completion of your registration forms and payments online. The Hollyburn Cross Country Ski Club will administer the purchased programs and services according to our published policies and procedures. Any related products requiring delivery will be made available for pickup or shipped to the purchaser. If the Cypress Nordic ski area is open, then the club will operate the scheduled ski sessions; if it is closed, then the sessions will be cancelled. Go to http://cypressmountain.com/nordic-conditions to see the conditions and whether the Nordic area is open. Scandinavians invented cross country skiing and we are indebted to them not only for its ancestry, but for the development of the equipment we use, touring techniques and even for the relatively recent art of waxing.